What TCP’s glossy brochures and rosy projections don’t mention are the real concerns and risks that underlie this speculative venture. High-speed passenger rail depends on two factors for ridership: low rates of car ownership and high population densities. All high-speed rail line across Europe and Asia lose money but two – two with extremely high residential densities and low rates of car ownership (Tokyo to Osaka and Paris to Lyon). Dallas and Houston simply do NOT fit the bill. Objective analysis leads to the inevitable conclusion that huge financial gaps exist between TCP’s projections and reality and that taxpayers will end up paying the price to the tune of tens of billions of dollars. Dawson & Sodd attorneys have seen this before – right here in our neighborhood. Anyone remember the Superconducting Super Collider? It was a particle collider to be used for scientific research of high speed particle activity – a 53-mile-long circular underground tunnel with large above-ground research campuses on each end. Proposed in 1983, approved by Congress in 1987, the final footprint was announced in 1990, and construction began in 1991. Our firm represented many landowners (more than any other firm) in eminent domain proceedings filed to take their land for the project – in many cases land that had been in the same families’ hands since Texas was a Republic. No matter – the project was coming, and those landowners were in the way. Sound familiar? I’m sure it does to all the landowners currently in the path of TCP’s bullet train. But a curious thing happened on the way to particle research Nirvana: The cost projections kept going up … and up … and up some more. From $3 billion to $5 billion to $9 billion to $13 billion. And this was back when a billion dollars was real money. So Congress got fed up and pulled the plug on the SSC in 1993, only two years after it began – but too late for hundreds of homeowners, farmers and ranchers who lost everything. The land was still taken because construction had begun and it was too late to give it back, and the land sat idle for many years, the monument to a boondoggle. Finally, it was auctioned parcel by parcel to the highest bidder. What a travesty. What a waste. And we had a front row seat to it all. Many public projects are sometimes needed. Roads, schools and utility lines come to mind. This infrastructure keeps society operational. The law mandates both the necessity and the funding for these public projects be proven and in place. But when projects begin to stray from public needs to private desires, problems inevitably follow and someone else pays the price. We’ve seen it before. 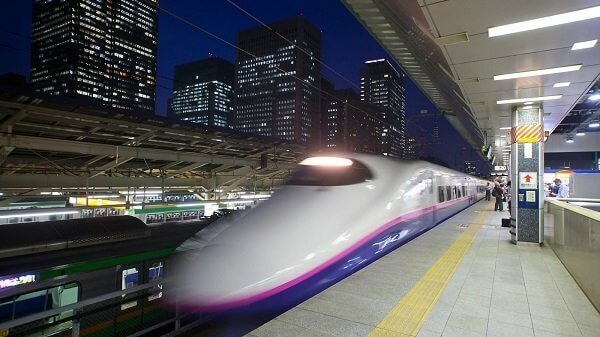 The TCP’s high-speed rail project looks eerily familiar. We don’t want to see it again. Is your land being targeted for eminent domain for the Dallas to Houston high-speed rail project? The eminent domain lawyers at Dawson & Sodd have been protecting the rights of Texas landowners for more than 100 years. Call us today at 903-872-8181 (Corsicana) or 214-373-8181 (Dallas) and find out how we can help you protect your rights.